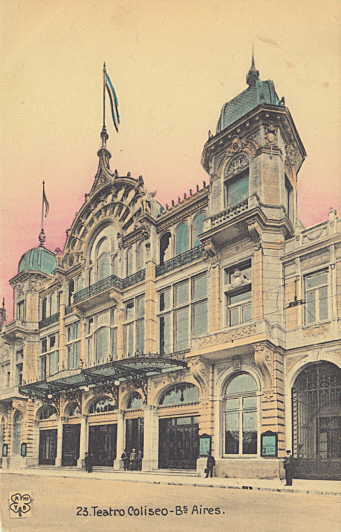 Built 1905. Demolished 1938. 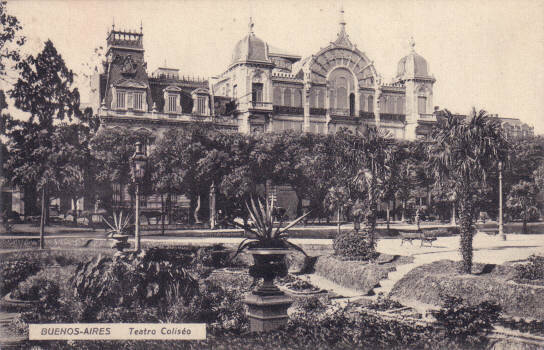 Subsequently replaced by a new "Teatro Coliseo". 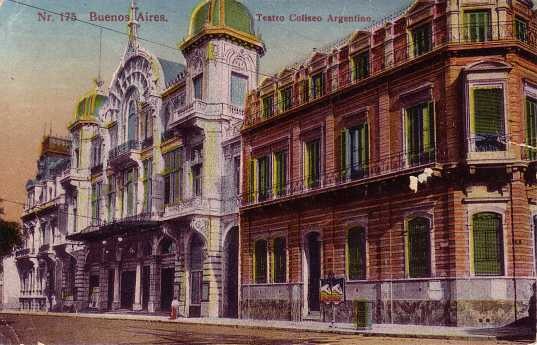 Front Text: "Buenos Aires - Teatro Coliseo Argentino"
Front Text: "Teatro Coliseo - Bs. 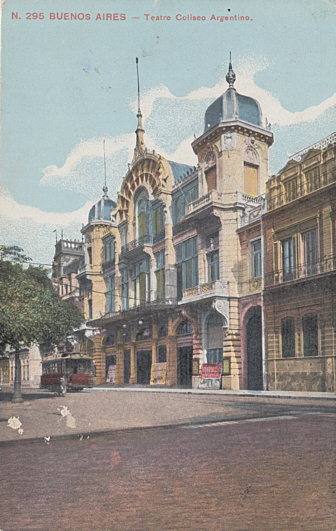 Aires"
Front Text: "Buenos Aires - Teatro Coliseo"